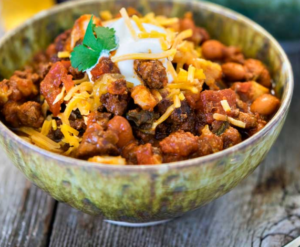 I’m about to share with you the best dang chili recipe ever. Why you’ll love it: it’s full of quality protein, fat, fiber, vitamins, minerals, and antioxidants (basically all the building blocks your body LOVES.) Plus, it tastes wonderful! After soaking beans overnight and rinsing them completely, fill a pot with enough water so that it is 4 inches higher than the level of the beans. Add 2 teaspoons of sea salt and simmer with the lid on for 4 hours or until beans are soft. Next, chop up the bell pepper and tomatoes into small 1/2 inch pieces and dice the jalapeno peppers (seeds and all if you want it spicy). Add to the beans and crumble raw ground beef in as well. Add spices and simmer for another hour with the lid on, stirring occasionally. Protect your greatest health asset with this! Do you ever stop and look at your life and wonder how the heck you got here? Does it feel like someone left the fast-forward button on in your life and you just don’t know how the heck to make things feel more manageable? And are you struggling with any of these typical stress symptoms like the dreaded bulging midsection, brain fog, losing your temper, feeling anxious, and trouble sleeping? I feel you! And here’s the thing: You deserve to love your life and feel good. Hang with me for some solutions below. My specialty as a health coach is self-care: those actions you take to improve or maintain good physical, mental, and emotional health. 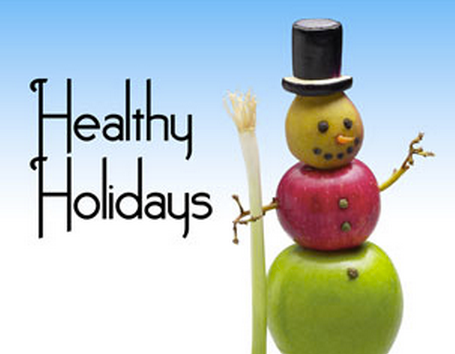 Good health is your greatest asset. When you know how to coach UP your health through improving your self-care (optimizing diet, sleep, exercise, and eliminating your unique stress burden) results like feeling better, looking healthier and being more able to be fully committed to your life are common. Busy people just like you enjoy more physical energy, feel more emotionally balanced and mentally capable. Imagine the positive impact these benefits would have in your life, your work, and how you are able to participate in your community. When you don’t enjoy good health and are suffering with symptoms, you are incapable of doing much more than getting through the day. When you feel great, you’re more helpful, patient, communicative, playful, curious, and creative. This is why self-care is not selfish (a commonly used excuse given as to why someone has poor self-care). Through taking care of your essential needs, your participation in life goes up and everybody around you wins, including you. A key piece to health improvements and self-care is intelligent energy management (aka responding to the world with your thoughts and feelings in ways that renew rather than deplete you). I’ve learned some amazing tools through becoming a Certified HeartMath Coach that will make a positive difference in your life every single day. Here are 3 solid options for you depending on how ready you are to feel better and kick your symptoms to the curb. If all you want is a baby step, here are 3 great tips for building resilience, your capacity for handling and recovering from life’s challenges, over the holidays. If you’re ready for a slightly bigger step, here is a simple daily 3-minute practice for building your gratitude and pleasure awareness. If you are ready to feel better YESTERDAY, click here to learn more about Stress-Free Me and how you can change your life. Stress-Free Me is every busy person’s survival guide. It’s a program that empowers you through one-on-one coaching to become the boss of your stress so you can look and feel great again. Learning that you can change how your body reacts to stress is a HUGE gift. It’s a game changer! You deserve to love your life. Let me show you how to take care of your most important asset–your health–with Stress-Free Me. If you want some great tips for getting fit, fabulous and fierce, don’t miss my interview on Dec 22nd in the Commit to Be Fit Revolution Summit! http://choosinghealthnow.com/wp-content/uploads/2016/05/apple.png 0 0 admin http://choosinghealthnow.com/wp-content/uploads/2016/05/apple.png admin2016-12-21 08:38:322016-12-20 08:43:39Protect your greatest health asset with this! Commit to Be Fit Revolution Summit…plus holiday recipes & FREE book bundle! You are about to be spoiled! In this email are 3 awesome and free gifts for you! #1. Guidance! Are you tired of setting the same health and fitness goals year after year and seeing no results? What if I told you there’s a way to find the results you’ve been looking for? Join me and 20 other health and fitness experts in the FREE Commit to Be Fit Revolution summit. How you can avoid common mistakes when trying to reach your ideal weight. De-bunking myths around diets and cleanses. Plus a surprise tool you can start using right away to achieve their health and weight goals! Let’s be fit in 2017! Save your spot today! #2. FREE books! My friends at ShopEthically have put together an amazing bundle of ethical books, courses, and other goodies from honest and authentic creators around the globe. Unlike other mixed media bundles though, this one is completely FREE! My book Pleasure Meditation is in there, along with a couple dozen others. While I obviously can’t vouch for the philosophies of each and every contributor, there are definitely some gems in there. Go grab them all HERE! AND #3. Here are 5 healthy, delicious holiday drink recipes for you to enjoy while you partake of the free summit interviews and books! http://choosinghealthnow.com/wp-content/uploads/2016/05/apple.png 0 0 admin http://choosinghealthnow.com/wp-content/uploads/2016/05/apple.png admin2016-12-07 05:00:402016-12-05 06:47:55Commit to Be Fit Revolution Summit...plus holiday recipes & FREE book bundle! 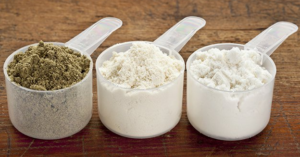 Ever wonder if protein powder is healthy for you? Or safe? And then there’s a million options so which one should you try? This review sums up which ingredients to steer clear of and out of almost 700 protein powders, which 8 were ranked best. Now of course they couldn’t test every single protein powder out there, but this guide should be really helpful to you. Other fantastic sources of top quality protein powders are grass-fed whey if you don’t have a dairy sensitivity (many of my clients enjoy this brand), collagen powder, or gelatin. These all supply easily assimilated amino acids (protein building blocks your body uses for building and repairing cells, healing your gut, making neurotransmitters, balancing blood sugar, and much more). You may benefit most from adding a quality protein powder into your diet if you have trouble with digestion, are healing from leaky gut, have low energy, or blood sugar imbalance. Powdered forms of real food are often more easily assimilated by your body to be used for the important functions I mentioned above. They can be added to coffee, smoothies, teas, broth, soups, yogurt…get creative! Here are some recipes you may enjoy.